It’s comforting to know that even TV stars and retired former race aces aren’t immune to the project bike disease. 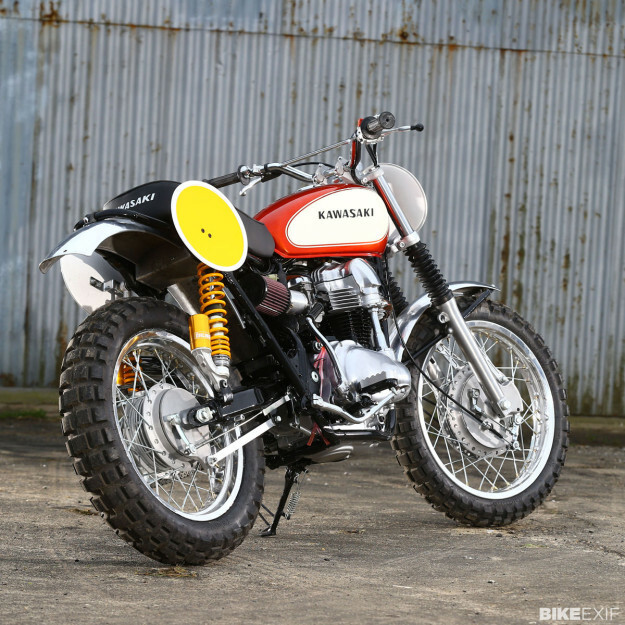 That’s why former Grand Prix, World Superbike and World Supersport racer James Whitham has spent the last 15 months of his limited spare time building his take on the street tracker concept. 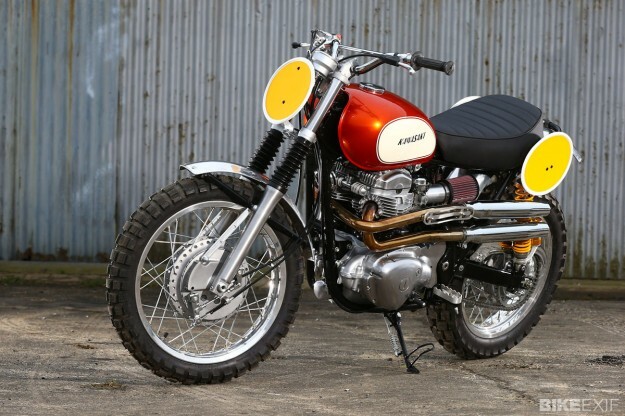 Based on an ageing W650 twin—Kawasaki’s rival to Hinckley’s revived Bonneville—Whitham’s tracker is the epitome of stripped-down, pared-back style. 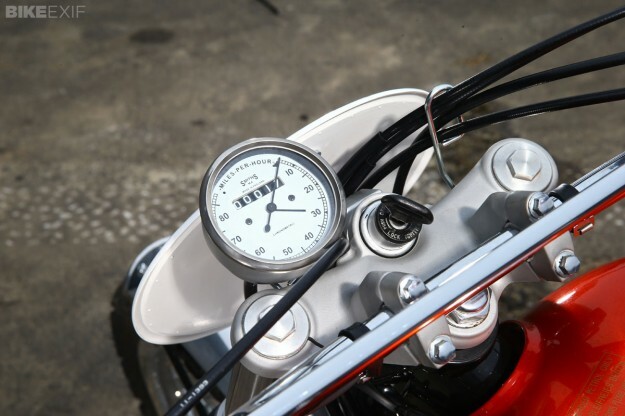 Without such fripperies as lights or indicators, the bike is his vision of how a bike should be—simple fun. 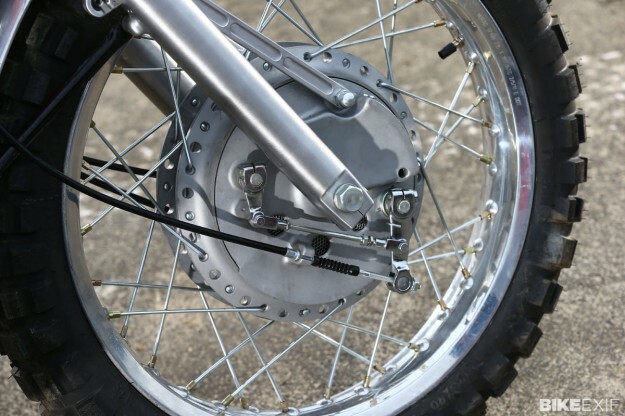 James also wanted a twin-leading-shoe front brake in place of the Kawasaki disc. “We’ve used early Suzuki GT750 drums on both bikes,” says James. James has left the engine standard, though he’s polished the engine cases himself, before lacquering them. Brook also fabricated the carb manifolds and James and Jamie have both used K&N pod filters. But sorting out a suitable exhaust system had the pair scratching their heads for a bit. “We got lucky in the end,” James admits. “Somebody put me on to a local guy, Michael Stott, who makes architectural stainless steel fittings for houses. He’s a motorcyclist, too, so he agreed to have a go. 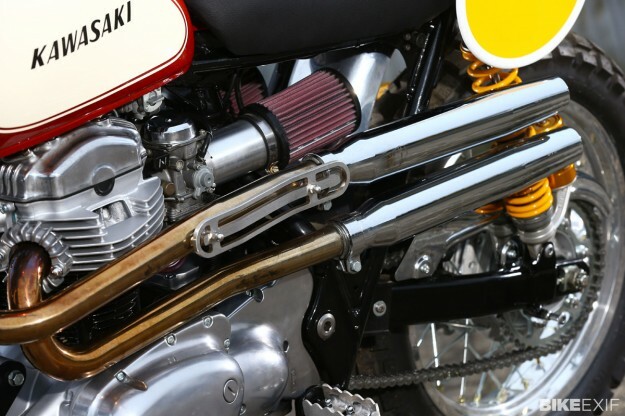 He bought pre-formed bends and put a couple of systems together—the pipes make the bikes. 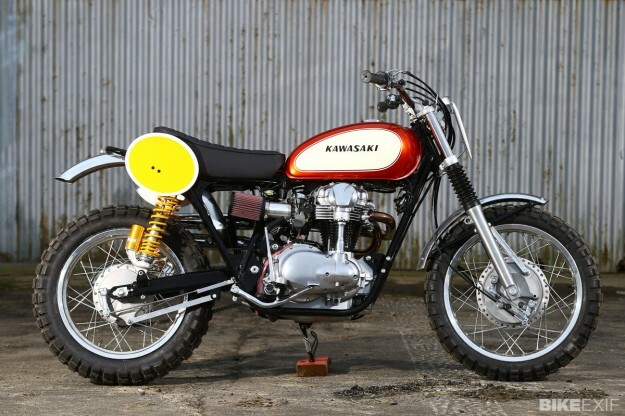 Courtesy of Classic Bike magazine. Images by Chippy Wood.